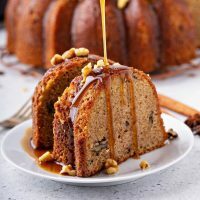 Walnut Rum Cake: a sweet, moist homemade rum cake is flavored with dark spiced rum and crunchy walnuts and then generously topped with a warm buttery rum sauce. If you are looking for the perfect moist rum cake, look no further, this one is absolutely divine. 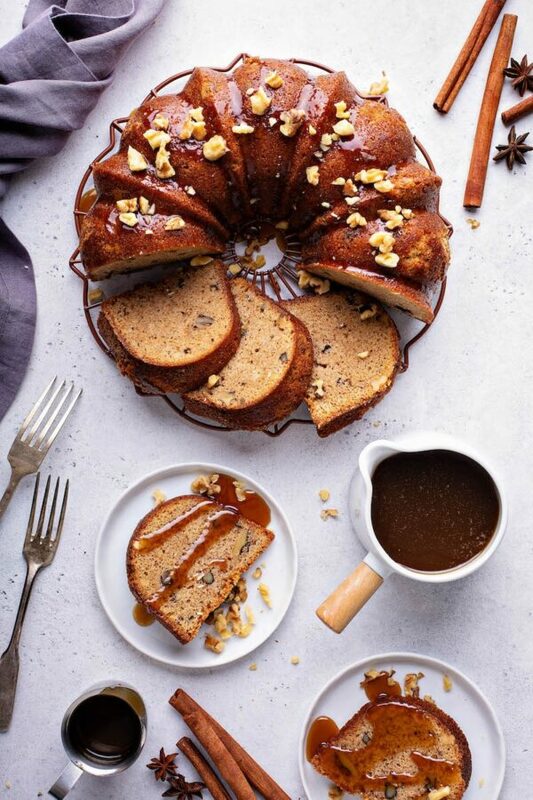 It all starts with a moist buttery dense cake that is loaded with dark spiced rum and walnuts. Then we take it to the next level with a sweet warm buttery rum sauce poured on top. You can pour it onto each slice before serving or you can poke holes in the rum cake and saturate it in the sauce. It’s seriously plate licking good — always a big crowd pleaser! I didn’t grow up with rum cake being a holiday staple. In Texas, we focused much more on pies and cookies. Then when I moved to Florida right after I graduated, I started finding rum cakes on just about every holiday buffet table. My love for them grew instantly and I found myself becoming quite picky in what I wanted in my rum cake. Personally, I am not a huge fan of raisins in my rum cake, but I always have to add extra walnuts (or pecans)! Thankfully, I keep a fully stocked pantry for all the baking projects I am constantly dreaming up and that always includes Fisher Nuts. Fisher nuts are always fresh right out of their shells, have no preservatives and are non-GMO Project Verified. And the super handy stand-up bag is also resealable and keeps the nuts fresh for longer. That way, you can use them all throughout the holiday season! Walnuts and pecans are both perfect additions to any holiday dish or dessert. They help bring new flavor and texture! 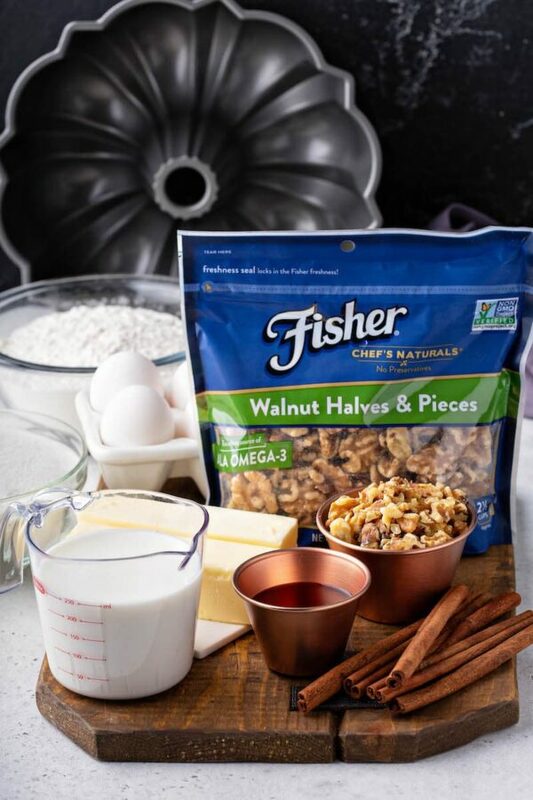 In this Walnut Rum Cake, I add 3/4 cup of Fisher’s Walnut Halves & Pieces. You could also use pecans if you already have those in your pantry, but in my rum cake recipe I personally love the flavor the walnuts add. Like I said earlier, I do not like to add raisins to my rum cake, but I did include directions for you to include them if you wish! I also add one other secret ingredient…a pinch of cinnamon! Are you surprised? I know it’s unusual for a rum cake recipe, but I find just 1/2 teaspoon of cinnamon brings all the flavors together and really plays well off the walnuts and rum! You wouldn’t even know it’s there unless I told you. It just adds a little hint of warmth to the rum cake. And of course, we add a hearty splash of spiced rum to the batter as well as the sauce that goes on top! Speaking of the buttery rum sauce, it is a true can’t miss! You have to make it! 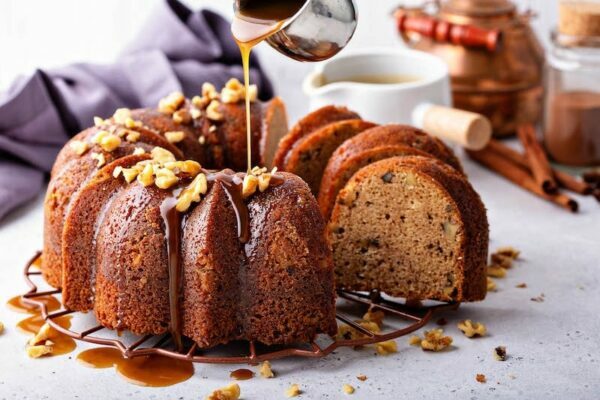 You have two options when it comes to your rum cake and the buttery rum sauce combo. My favorite way is to serve each slice warm with a fresh drizzle of buttery rum sauce. 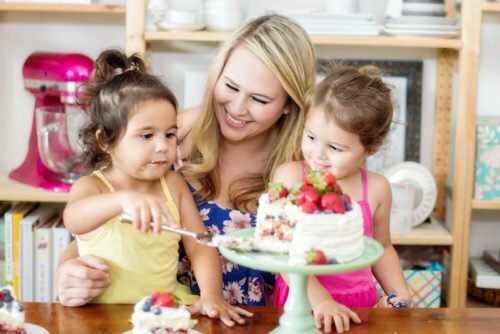 Don’t worry, you can still make the cake ahead of time. Just microwave each slice for 10 seconds before serving. OR the other fun option, you can soak you rum cake in the sauce. 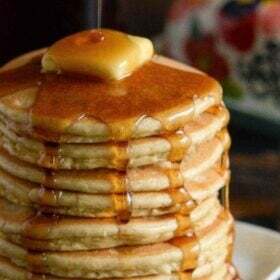 Use a toothpick or fork and poke holes into the cake and pour the sauce on topped let it soak into it. Both ways are absolutely delicious, it’s all about personal preference! 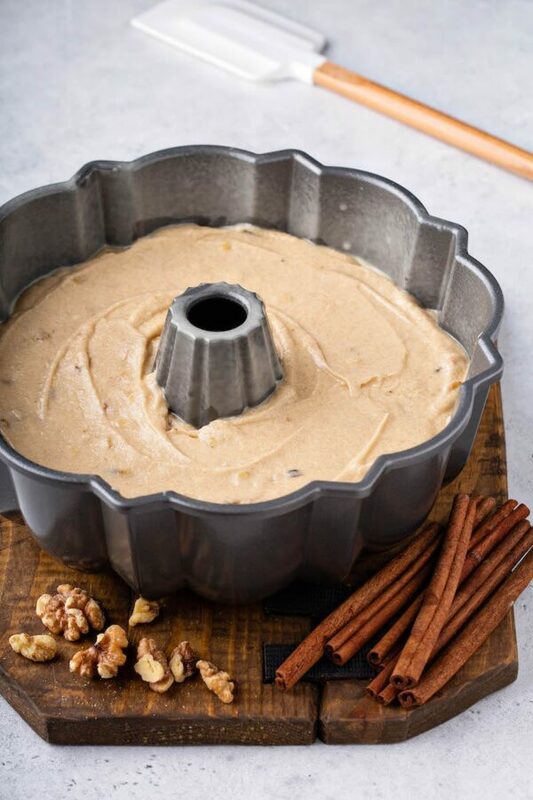 I know you are going to love this Walnut Rum Cake recipe just as much as we do! If you bring it to a party, be prepared for everyone to beg you to share the recipe! 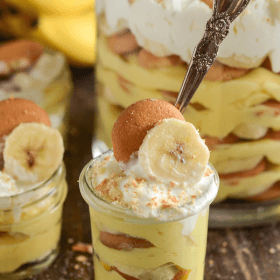 It’s very easy to make, has a wonderful rich texture, and is loaded with rum flavor. What more could you ask for?! 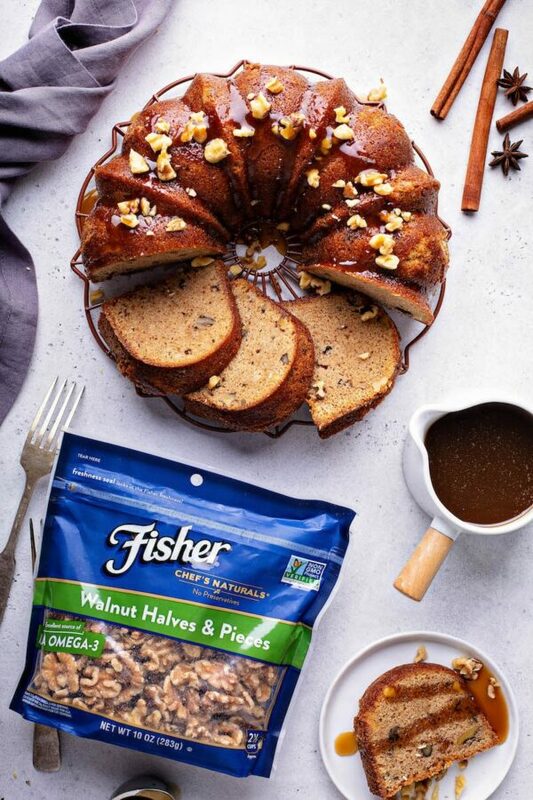 Just make sure and don’t forget a good heaping handful of Fisher walnuts or pecans! 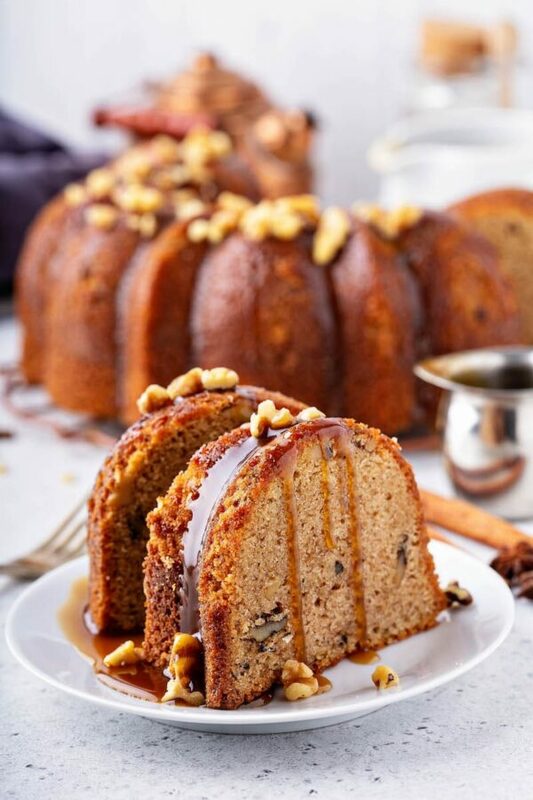 Walnut Rum Cake: a sweet, moist homemade rum cake is flavored with spiced rum and crunchy walnuts then topped with a warm buttery rum sauce. In small bowl, whisk together milk and vinegar. Set aside. In a medium bowl, whisk together flour, cinnamon, baking soda and salt. Set aside. In large bowl of stand mixer, cream butter and sugar until light and fluffy. Beat in eggs one at a time, then stir in vanilla until well combined. Beat in flour mixture alternating with milk and rum. Fold in walnuts and optional raisins if desired. Buttery Rum Sauce: Combine the butter, brown sugar and granulated sugar in a small saucepan. Heat over medium heat, stirring often, until smooth. Add the cream and rum and bring to a simmer. Simmer for 5 minutes, stirring often. Remove from heat and let cool for 10 minutes. Serve rum cake warm (just microwave a slice for 10 seconds in the microwave when ready to serve) and drizzle heavily with buttery rum sauce. 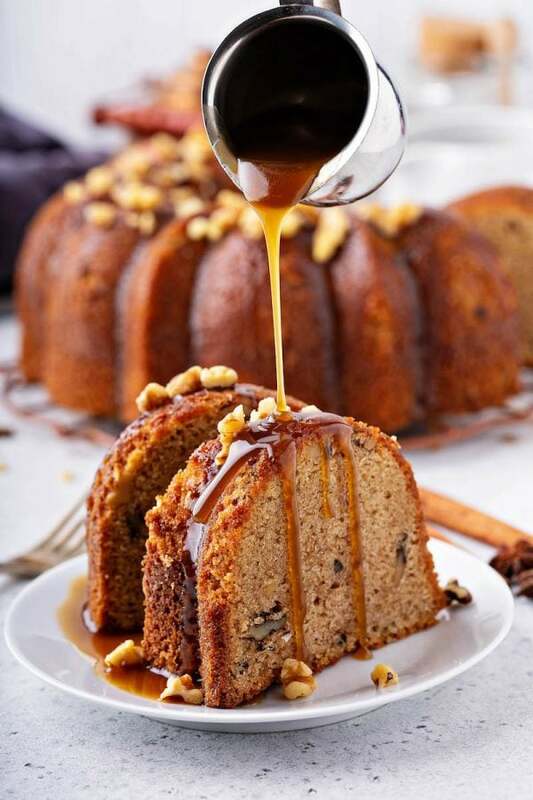 SOAKED RUM CAKE: If you like your cake to be fully drenched in the rum sauce, while the cake is still warm in the bundt cake pan, you can use a toothpick or fork and poke holes into the cake. Then pour the sauce on top of cake and let the sauce soak into it completely. 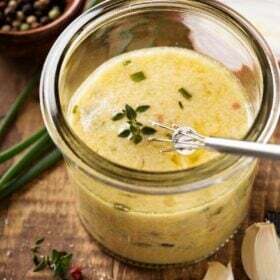 MAKE AHEAD BUTTERY RUM SAUCE: If you want to make your sauce ahead of time, store it in the refrigerator and reheat it in the microwave in 30 second increments, stirring each time, until hot. Looks heavenly! 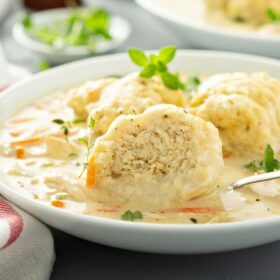 So much flavor packed into each bite, craving for this and can’t wait to try! 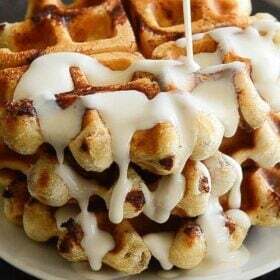 That looks absolutely exquisite, yum! Such a gorgeous cake!! I am loving that buttery rum sauce!! It looks amazing!! This looks really delicious! Can’t wait to enjoy this with my coffee! 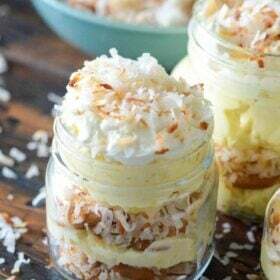 Boozy cakes are the best! 🙂 This would be wonderful for holiday entertaining. Well this cake is truly gorgeous and it taste even better if you can even believe that! Jessica, I just wanted to say that I love your recipes and really really appreciate the fact that you include the entire recipe in your emails! You absolutely rock for that! what a great cake recipe and raisins, no, nuts, yes, couldn’t agree more, love the subtle rum flavor, breaks the sweetness in a wonderful way! thank you! That is a beautiful rum cake. That would be at home on my holiday table. Can I use Apple vinegar I don’t have white vinegar. For the walnut rum cake.